Easy to follow instructions, see the video & PDF below. Additionally instructions are packed in the shipping carton. The “Gripper Clamp gets the job done, you simply connect the pieces together. 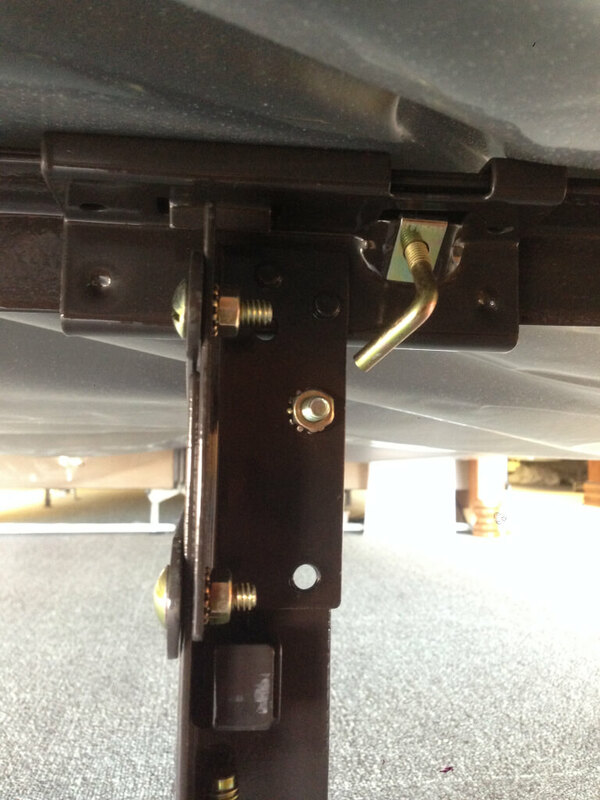 Unique Positive-Locking designed legs actually become even more structurally solid when additional weight is applied to the bed. 3 cross rail supports are all interconnected to a center head to toe X-System. This unique feature is designed to keep the legs sturdy and in position for years to come. This matchless middle support system does just that and more. 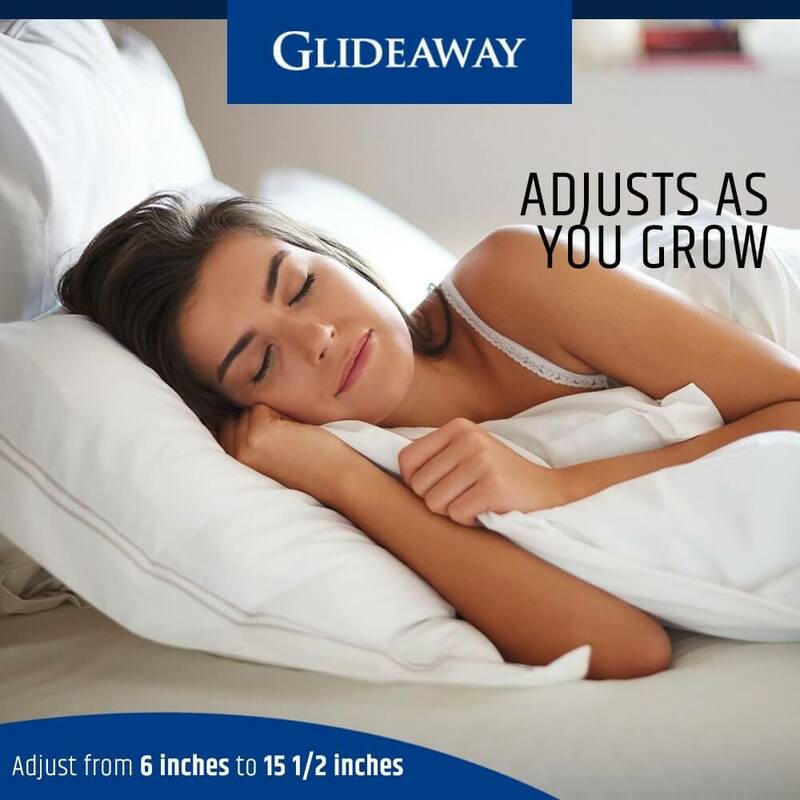 Not only does it provide the very best support for your mattress and boxspring, but relieves your headboard, foot board, and side rails from damage that can result from too much weight. How’s that for assurance? The GS-3 XS Center Support has extra solid support from legs that are adjustable allowing for a variety of bed heights and configurations making it versatile enough to accommodate most any bed and size including Full /Double, Queen, King / Eastern King, and California King beds with headboards, footboards, and side rails. Fits beds from 6½ inches, up to 15½ inches tall. Measurement is taken from wood lip located inside of wooden side rails. 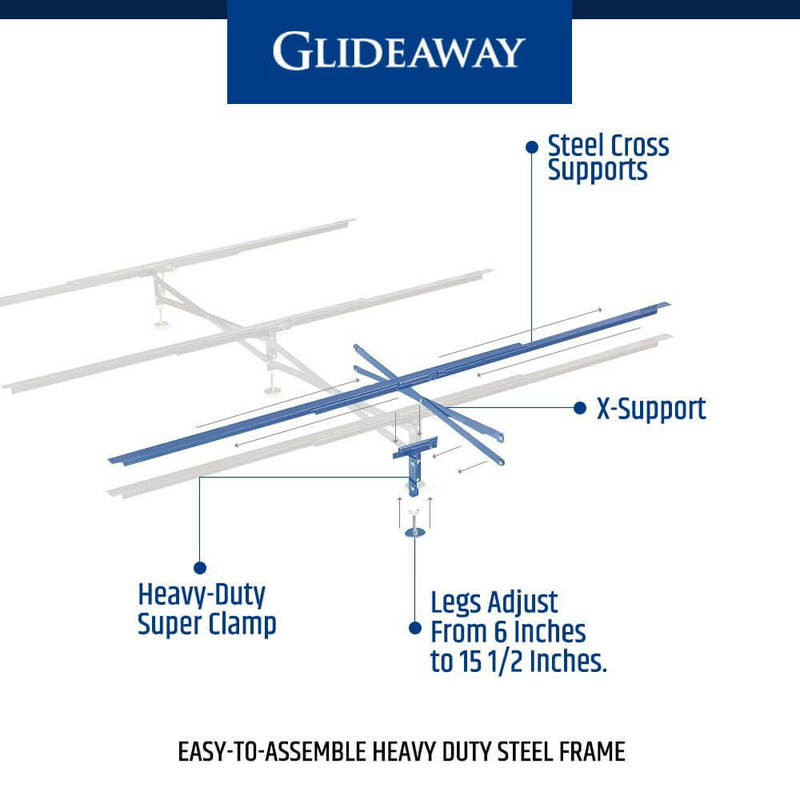 Glideaway’s GS-3 XS Adjustable Center Support System is built to work on wood side rails to help ensure your rails will not bend, crack, or break. 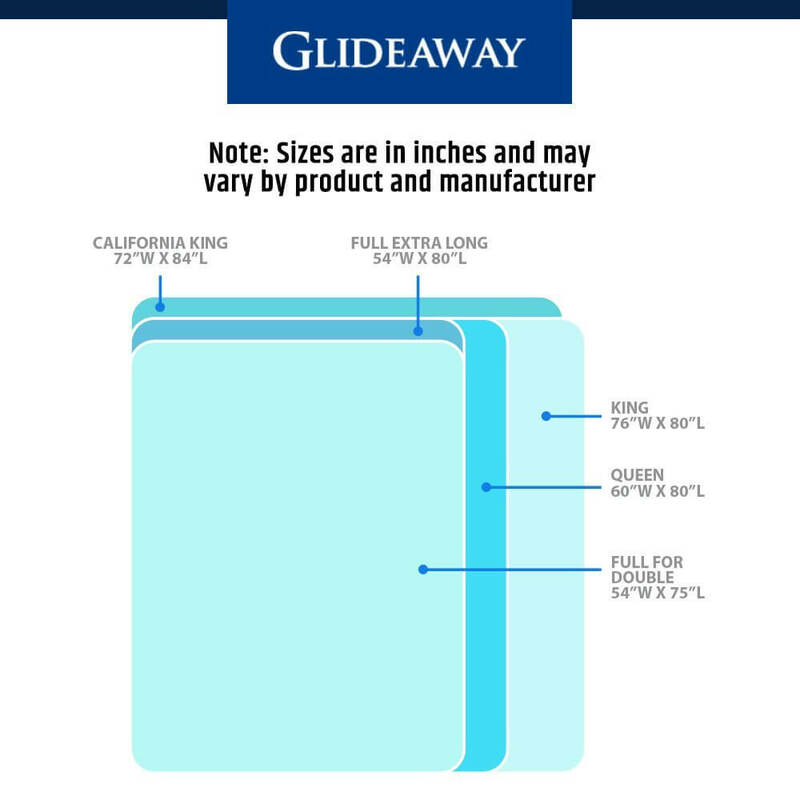 Glideaway’s middle slats cross from side to side and include pre-drilled holes on each of the ends. 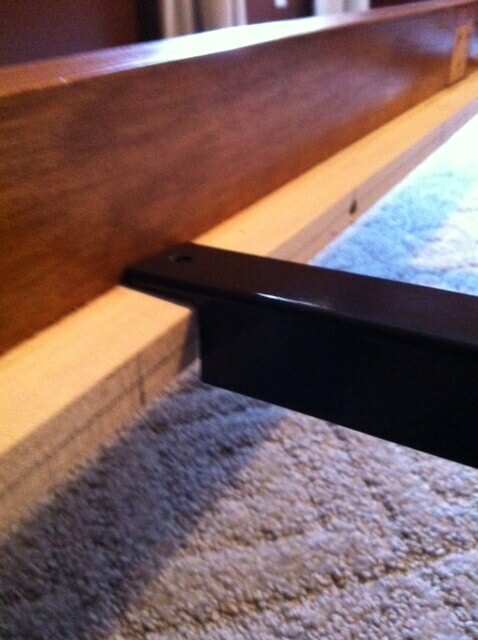 The steel slats rest on the wooden lip and rest on your bed side rails. 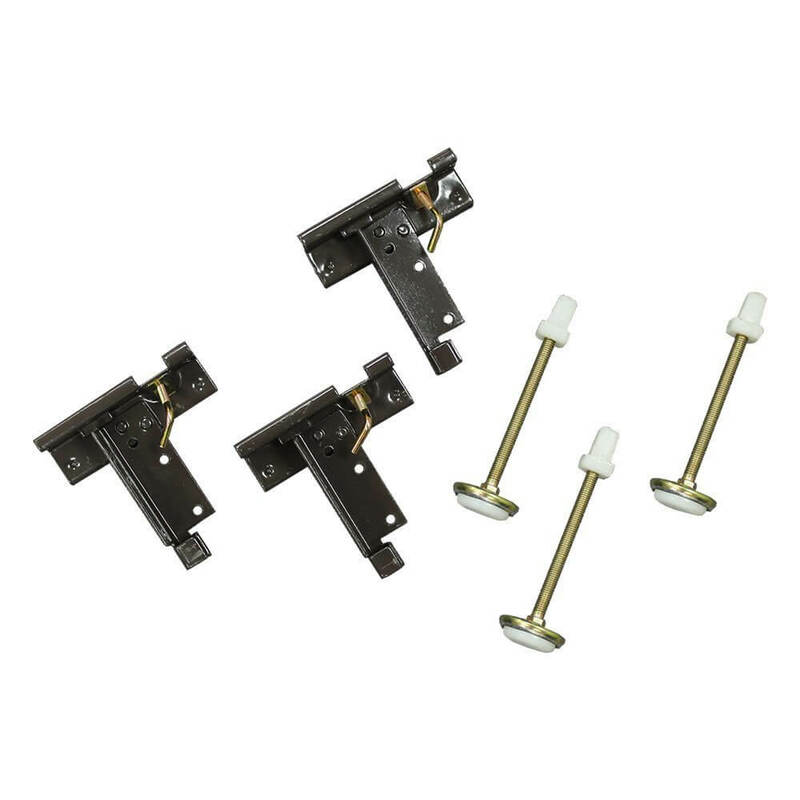 Simply secure them with the included screws to ensure the GS-3 XS system will not move out of position. 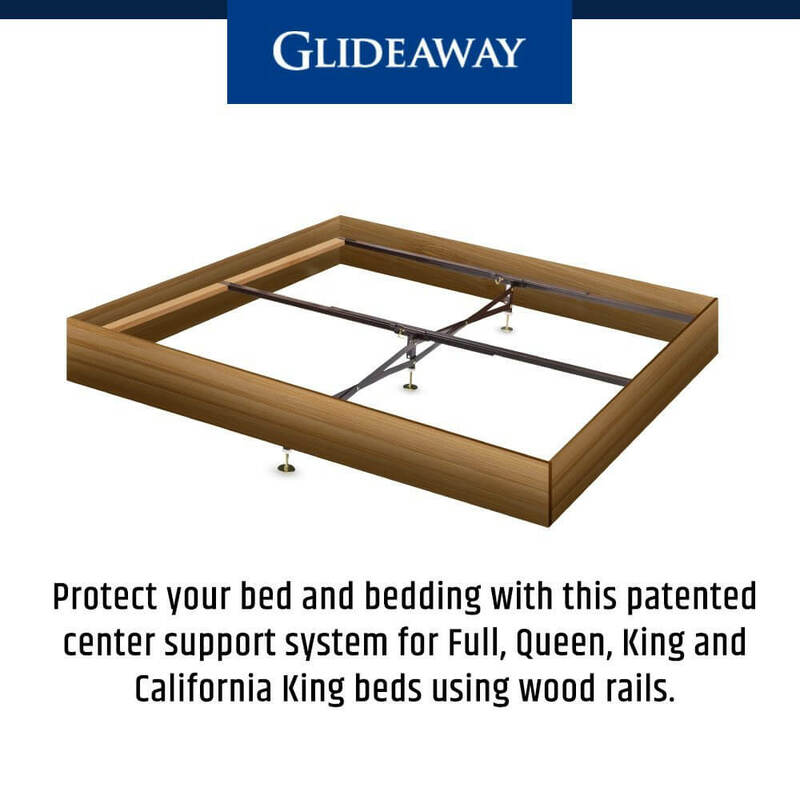 This added support will guard against bowing, bending, and breaking of your wood bed side rails when installed properly. 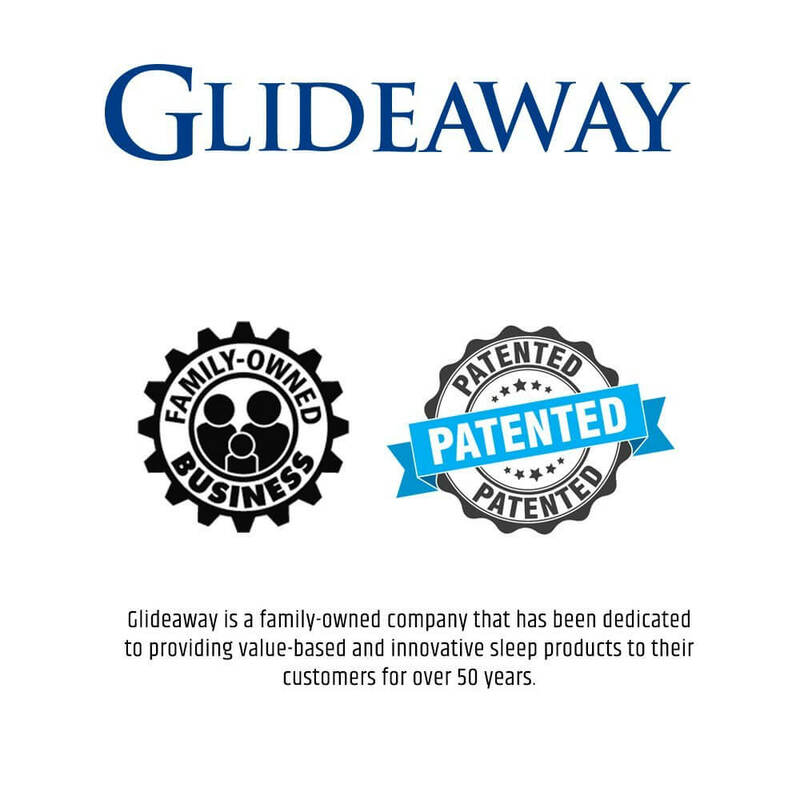 Our middle support system has a Limited Lifetime Warranty from Glideaway Manufacturing. I called to make sure this is a legit seller. Someone picked up the phone and told me he is going to pick up the item and ship it to me in 2 days. I received the item one day after the shipment day. I am very happy with the fast shipping and quality of this item. Ordered over weekend. Delivered Thursday. 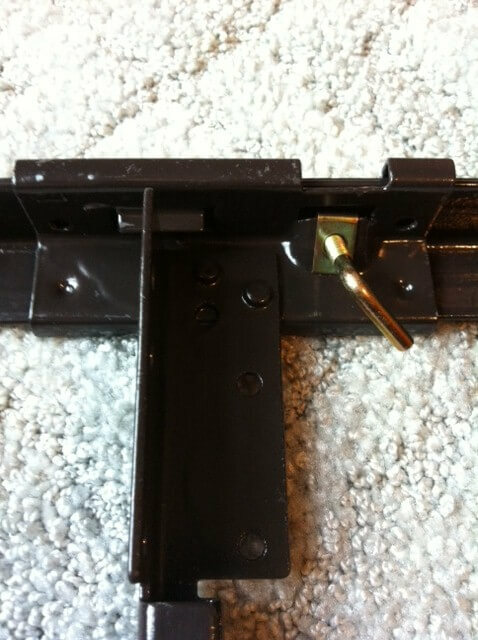 Pleased to find this support system (made of angle iron) was simple to install and looks like it will hold up well. Very easy to install, and with the fast shipment, its just what I needed!!!! After breaking several wood slats that came with my bed originally, I was delighted to find this product to made of iron and feels very solid. 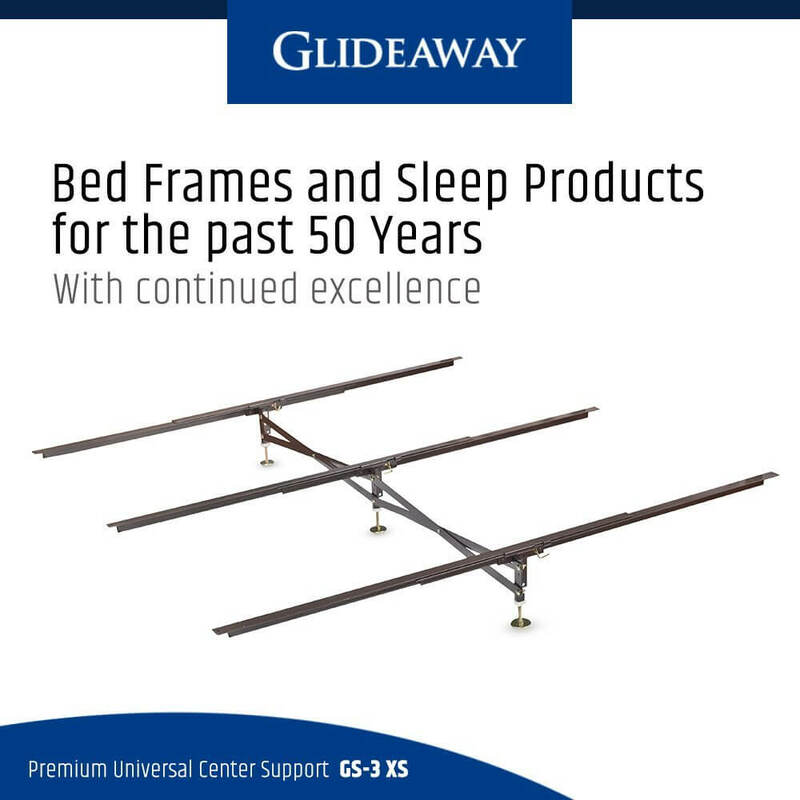 I highly recommend this product to anyone in need of a solid support for their bed. 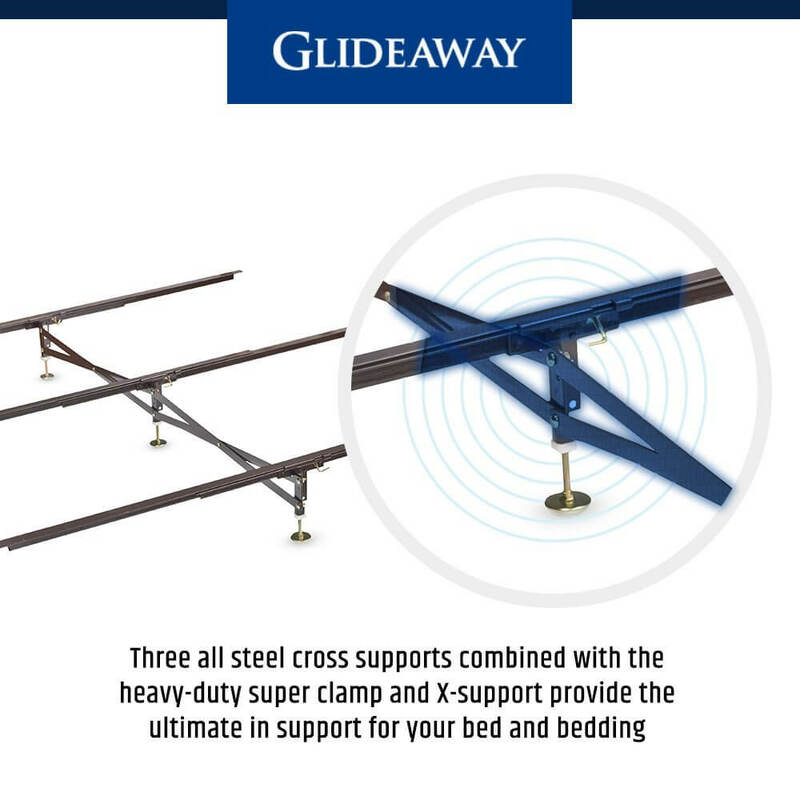 I chose this product after careful consideration – I like that it offers steel slats that won’t flex, and 3 contact points to distribute weight to the floor in the center of the bed. It’s a rock solid design. Installation was easy, and the product seems to be working well. ** Furthermore, STLBEDS was great to work with, they shipped promptly and corresponded about shipping information very quickly ** All in all, highly recommended. I bought a brand new bed from Macy’s and the wooden center frame broke the very first night. Well, I was in a panic and searched for something quick to replace my wooden frame. Found this product and seemed to fit my needs. I ordered the frame and in 3 days I had my new frame and it’s perfeccccttt! Now my bed is sturdy and I can tell this will last me a long time. I love my new bed and I’m so grateful to have found such a high-quality product on such short notice. Thank you!! I will never understand why any company that sells any type of bed needing this product would use wood. This is the BEST!!! support I’ve found anywhere! My bed has never felt so solid. STL Beds…..YOU GUYS ROCK!!! This support is truly a support. Very sturdy and appear very durable to last a long time. A far cry from the wooden slates we had.Price is great for quality of product. Speed of shipment was exceptional with timely email updates. Great service! Needed a new frame to replace my wooden slats that started creaking/cracking. Found STL Beds online. Originally was thinking about getting a regular metal frame. But then I saw there steel slat model GS-3 XS Center Support. It looked very sturdy and with a center support just what I needed. It took about a week for it to arrive (I live in Los Angeles). I had noticed that my mattress would kinda sink in the middle . The mattress is only 10mths old!! Apparently that was becuz the support from the wooden slats had run its course after 6yrs.With the GS-3XS steel slats they give a lot of support. My mattress now is back up to where it is suppose to be. And so comfy. I just wished I had looked around 6 months ago. This is really a good deal , don’t hesitate. Works better than the manufacturer design. I had 1/2 in. wooden slats that were breaking and caving in. This was perfect and arrived in a timely manner. Also the lowest price around. Thank you. This frame insert reduced the noise my mattress makes to practically nothing. I’d recommend it and STL Beds to anybody. Overall, extremely happy with customer service, speed of delivery and product. We love the supports and are so thankful to finally find something that is sturdy for our king size bed! You delivered on what you promised. Ordered on Saturday, arrived on Wednesday. Put it together that night. Bed is much more stable and solid. Thank you. Great product. Designed well and easy to install. No issues at all. I am so happy that we chose STLBeds. My order was shipped a few hours after I placed it. It was delivered on time as stated. My husband put the center support together by himself. Our bed feels much better and very secure. I wish I had made my purchase sooner instead of putting up with the old weak wooden slats that came with our bed. We needed a new bed frame and I found this one online. It was shipped very timely and was relatively simple to assemble. It is very sturdy and thus far we have had no issues. It is like having a new bed. Very satisfied customer! We had our wooden slats on our bed warp. It was gradual and we didn’t realize how much they had warped. We were waking up with back issues. Finally the slats shifted and we definitely noticed. Researched online different products, this one seemed to make the most sense. Take your time setting it up, but is not too hard. I was super impressed with the design and the quality of the frame. It fixed our issue. We both woke up from a great nights sleep. I completely recommend this product. Only wish I would have found it sooner. Our wood frame bed didn’t come with slats so our mattress even with a box spring was sagging and noisy. I did some research and this item got good reviews. Pricing at SLT Beds was the best I could find online. Prompt communication and mailing of product. It didn’t take long to install and, wow, did it make a world of difference! Would definitely recommend product and SLT Beds! Bought this for my daughters sleigh bed. The product is quite sturdy and reasonably priced. Setup was easy. All necessary parts were included. Love it! Highly recommended. Fast delivery and excellent product. Many thanks! Love that it is totally adjustable and yet sturdy. We will use it for a long time, I suspect. Great service and product. We were excited to see it came from St. Louis. We lived there not too long ago ourselves. Quality product for sure. Our wood bed frame’s legs broke off. We had books holding up the bed and weren’t quite sure how we were going to fix it. The GS-3X arrived quickly and saved the day! It was easy to assemble, made our bed super durable and we are as happy as pie! We had hardwood floors installed and the bed support legs were too short. 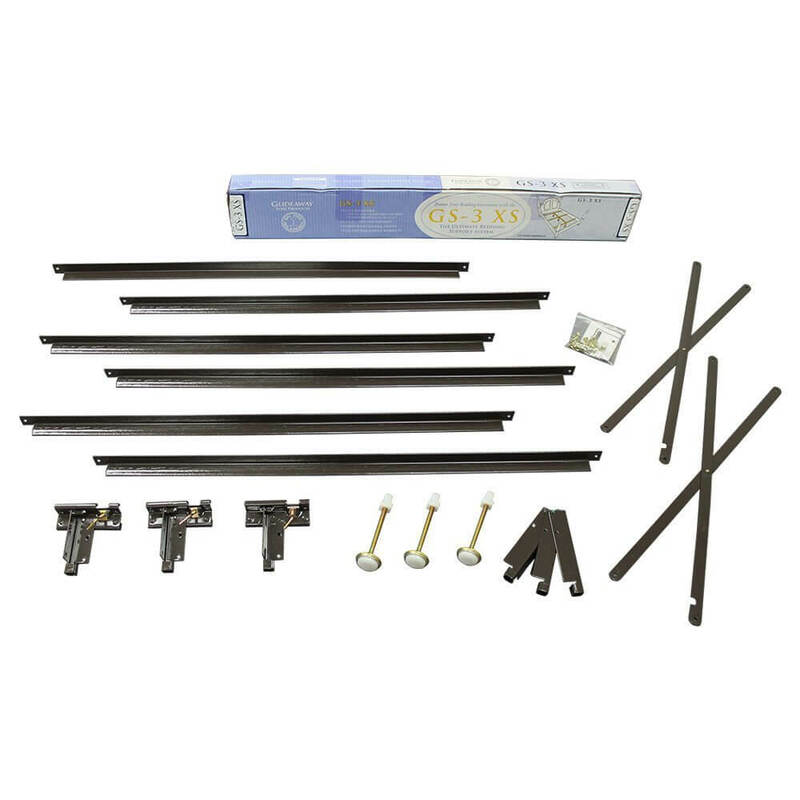 We ordered this product and were amazed at how quickly it came and how easy it was to install. Thank you Stl Beds! After waiting a few years to select and purchase a new mattress (over $2, 400), imagine my extreme disappointment when we experienced some sagging in the middle the very first night in the bed. I could not believe this was happening to a brand new box spring and mattress. My husband suggested it might be due to lack of support from the wooden slats and offered to reinforce them with larger or thicker ones. 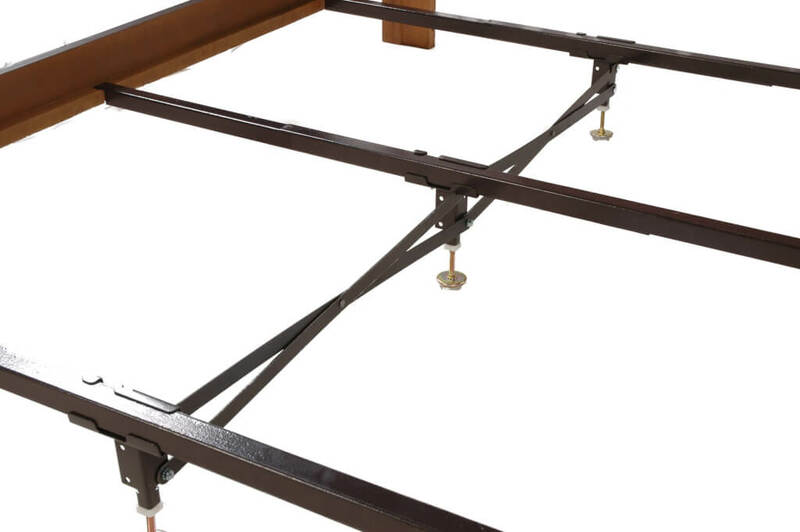 Dursing my research, I came across this bedframe and we decided the center support on this bed frame might address the problem we were having. We did have some installation difficulty due to the interior bed frame of our Amish built bed frame having trim work that surounded the slats, as a way to lock them in place. My husband had to add some trim for the new metal fram to rest on to make the metal frame sit as high as the other slats. If he had not, the box spring would have hit the higher trim pieces / slats and not seated properly on the new metal frame. This is not an issue with the frame, rather a “feature” on my bed that made installing the new metal bed frame / rails slightly more challenging. I am happy to report the sagging is completely gone and the bed feels more solid. Very happy with my purchase, since I am not certain thicker rails would have helped as much as this. Bought this 2 months ago for queen size Tempur-Pedic memory foam bed and a Macy’s furniture bed frame circa 2003. Initial install in 2003 went fine but after a move troubles started with the relatively cheap wood slats and 3 flimsy center wooden slat supports. The center supports started to fall off after repeated stresses the past few years. A real quality of life issue. A month ago I installed the GX-3. It was a bit more work than I thought because the bed frame did not have wooden side lips just local metal braces at each of the 3 wooden slats. So I had to remove the metal slat supports and bought 2 80 x 1.5 x .75 inch wood strips and screwed them into the bed frame to support the frame mounting of the GX-3 unit. This cost me $18 and a far amount of elbow grease. The rest of the install went smoothly thanks to the supporting video online and paper instructions shipped with GX-3. For the past month the bed has been rock solid and I’m happy with this product. My husband and I recently purchased our first complete bedroom set. I fell in love with a bed that got great reviews EXCEPT for the fact that it came with flimsy wood mattress supports. Since I knew this was going to be an issue, I went to Google to find something that would provide better support. I was led to STL Beds, and after reading reviews, purchased the GS3-XS center supports. We received the supports before our furniture arrived and could not be happier with our purchase. My husband and I set up the supports quickly without any issues. Our bed is solid and our mattress feels even more supported than with our previous bed frame. I would definitely purchase again! Super. Parents who have bought convertible beds for their kids that have just wooden sideboards, you NEED this. I added this to my son’s bed and it is incredible. I have peace of mind now. Great steel and hardware. Easy to install. 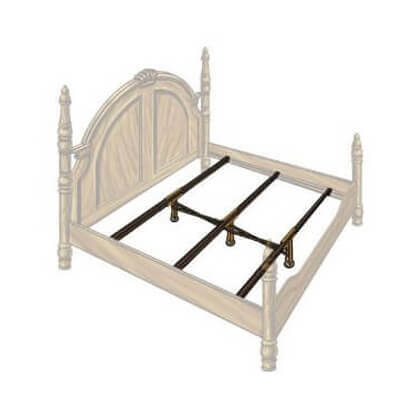 Works great for converting a DaVinci convertible crib (expresso Richmond) into a full/double size bed. Strong enough to support a heavier latex mattress & box springs and 2 good sized adults. Also very strong for when toddler jumps on the bed. Daughter put this support together herself & said it was a little tricky to do, but she did it just fine. We are so happy with the final result of this product, and the customer service. 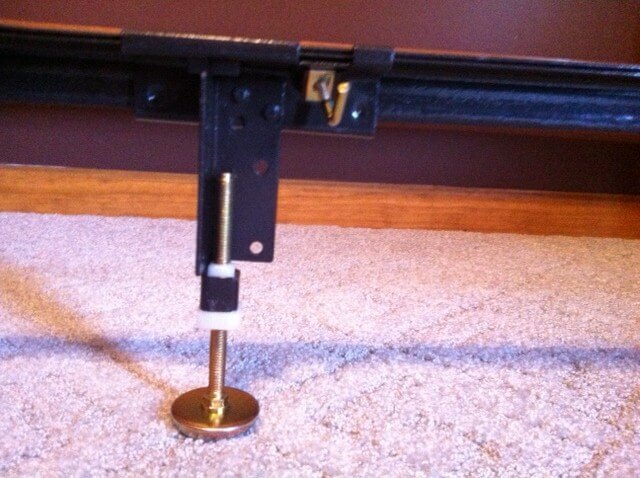 I spoke on the phone twice with STL beds, to see if this would work with our queen frame with metal side rails. They explained that it would probably work if we were able to drill holes in to the metal side rails in order to line up with the support system. This is what we ended up doing, and the bed is so much more comfortable now! I don’t feel like I’m sleeping on the edge of a cliff because there is NO MORE SAG in the middle of the mattress. And no more squeaking, which was becoming an issue. I do wish there was a way this product could be adjustable, so that we could have lined up the cross bars with the holes that already existed for our original slats. It took two different sessions on two different weekends for my husband to get the holes drilled to that they lined up exactly. But he did it, and now we are very happy with this product! This company is fantastic. Staff is helpful and wants to be sure you order the right thing. It came quickly and was easy to set up even without watching the video. I even called after I ordered online because I forgot to add the discount coupon and it was honored immediately with a credit to my charge card. We need more companies like STL who care and have pride in their service. Our bed had wooden slats and we didn’t know that until it was delivered and put together (the one we had before had steel). It creaked a bit. We bought a new mattress last January that was heavier and taller. One of the center supports on the old bed frame was loose and kept moving and leaning. When we tried to fix it, it was hopeless. 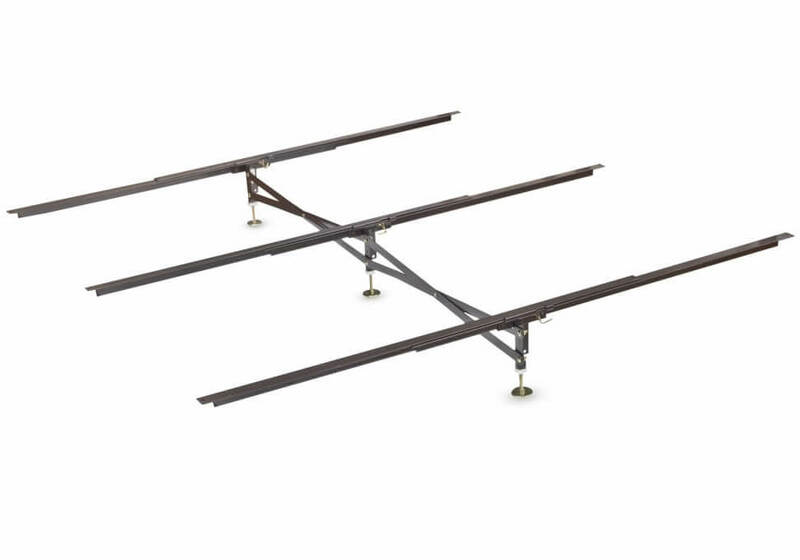 Went online and found STLBeds and the Three Cross Rails and Three Legs support system so we ordered it. That was very fortunate because that very night the slat at the head of the bed broke. Three days later, we got the bed frame and put it together. It took about an hour or two to get it fixed on our bed since a part of the wooden side rail also broke and we had to repair that first. We were amazed at how non-saggy the bed was with the new frame (it had been sagging badly in the middle). It is very secure and we are very happy we found this before the bed even broke. I’d recommend this to anyone needing to repair a bed. The video that we received in an email was helpful and we both watched it twice to make sure we did it right.